Oct 2, 2016 Bharatanatyam performance by disciples of Geetha Ganesan, UCPA, at 7 pm, during Sharannavaratri Celebrations at Shringeri Shankar Mutt, Nallakunta, Hyderabad. June 22, 2016 Uttaraa Center for Performing Arts presents Bharatanatyam Arangetram of Kum. S. Subhanvita, Disciple of Geetha Ganesan at 6.30 pm, Ravindra Bharathi, Hyderabad.View Image. Dec 6, 2015 Fourth Anniversary Celebrations of UCPA Somajiguda section, Bharatanatyam performance Geetha Ganesan's disciples from Uttaraa Center for Performing Arts at Amphitheatre - CCRT, Madhapur at 7 pm. View Invite Side1. View Invite Side2. Oct 16, 2015 Bharatanatyam performance - Dance Drama ' Sita Kalyanam' by disciples of Geetha Ganesan, UCPA, at 7 pm, during Sharannavaratri Celebrations at Shringeri Shankar Mutt, Nallakunta, Hyderabad. Aug 7th, 2015 Workshop Finale - Performance by the participants in the workshop conducted by Geetha Ganesan at Bangiya Sahitya Parishad, Shillong, at 6 pm.View Invite. Oct 8, 2013 Bharatanatyam performance by disciples of Geetha Ganesan, UCPA, at 7.30 pm, during Sharannavaratri Celebrations at Shringeri Shankar Mutt, Nallakunta, Hyderabad. Sept 9, 2013 Vocal Devotional songs on the occasion of Vinayaka Chaturthi Celebrations at Sri Subrambanya Samajam, New Nallakunta, Hyderabad at 7.30 pm. Jun 5, 2013 Lecture Demonstration for Centre for Cultural Resources & Training (CCRT) for All India Teacher's Orientation Camp, Regional Centre, Madhapur, Hyderabad. Mar 9, 2013 Natyanjali 2013 - Performance by Geetha Ganesan and disciples during Shivaratri Festivals at Tiruchembur Murugan Temple, Chembur, Mumbai.View Image. View Image. Feb 4, 2013 Vocal concert during Tyagaraja Aradhana Celebrations at Vidyanagar Ramalayam, Chinna Thiruvayyaru, Hyderabad at 7.30 pm. Jan - 6th to 9th, 2013 Students' participation in National Music and Dance Competition 2011 conducted by Navya Nataka Samiti, Hyderabad. Eight students from Uttaraa bagged awards / prizes in the Dance category. Third Prize (Sub Juniors)- Rasagna View Image. Oct 22, 2012 Bharatanatyam performance Geetha Ganesan's disciples from Uttaraa Center for Performing Arts during Navaratri Celebrations at Ganesh Temple, West Marredpally, Secunderabad. Oct 21, 2012 Bharatanatyam performance by disciples of Geetha Ganesan, UCPA, at 7.30 pm, during Sharannavaratri Celebrations at Shringeri Shankar Mutt, Nallakunta, Hyderabad. Oct 20, 2012 Bharatanatyam performance by Geetha Ganesan's disciples from UCPA at Ordnance Factory, Yeddumailaram as part of Navaratri Festivals conducted by Bengali Samithi. Oct 18, 2012 Bharatanatyam performance Geetha Ganesan's disciples from Uttaraa Center for Performing Arts during Navaratri Celebrations at Ashtabhuja Durga Temple, Malkajgiri, Secunderabad. Oct 16, 2012 Bharatanatyam performance by disciples of Geetha Ganesan at Chowmohalla Palace, Charminar, Hyderabad for the Eleventh meeting of the Conference of the Parties to the Convention on Biological Diversity (COP 11)the CoP XI Delagates.View Image. Sept 22, 2012 Bharatanatyam performance by disciples of Geetha Ganesan at SBH colony, Bagh Amberpet, Hyderabad on the occasion of Vinayaka Chaturthi celebrations at 9 pm.View Image. 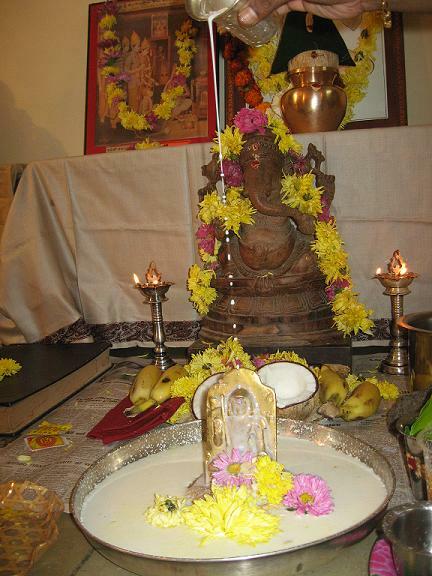 Sept 20, 2012 'Bhajans' by SBH colony members, trained by Geetha Ganesan on the occasion of Vinayaka Chaturthi celebrations at SBH colony, Bagh Amberpet, Hyderabad at 8.45 pm. Sept 08, 2012 'Kolattam' by ladies trained by Geetha Ganesan at the Guruvayurappan temple premises, Bagh Amberpet, Hyderabad at 8.45 pm. 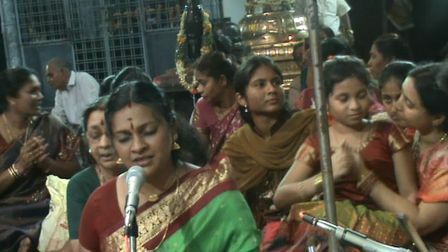 Aug 19, 2012 Performance by Geetha ganesan and disciples for the prestigious 'NAADANEERAJANAM' for TTD at Tirumala - being telecast LIVE from 6 to 7.30 pm, by Sri Venkateshwara Bhakti Channel(SVBC), Tirupati. View Image. June 14, 2012 Uttaraa Center for Performing Arts presents Bharatanatyam Arangetram of Kum. D. S. Aditi, Disciple of Geetha Ganesan at 6.30 pm, Ravindra Bharathi, Hyderabad.View Image. Feb 20, 2012 Natyanjali 2012 - Performance by Geetha Ganesan on the occasion of Shivaratri at Tiruchembur Murugan Temple, Chembur, Mumbai. Feb 19, 2012 Natyanjali 2012 - Performance by Geetha Ganesan and disciples during Shivaratri Festivals at Tiruchembur Murugan Temple, Chembur, Mumbai. Jan 17, 2012 Vocal concert during Tyagaraja Aradhana Celebrations at Vidyanagar Ramalayam, Chinna Thiruvayyaru, Hyderabad. Jan 6, 2012 Performance during "Chennai Music Season" by Geetha Ganesan and her disciples for Karthik Fine Arts, Chennai at Narada Gaana Sabha. Jan 1st -14th, 2012 Telecast of UCPA Tiruppavai Program in SVBC TTD Channel during 6 am to 7 am slot. View Image. View Image. Dec 15, 2011 Recording by Geetha Ganesan and her disciples at SVBC TTD Channel Studios for the month long Tiruppavai program. Telecase between 6 to 6.35 a.m. every morning from 17th Dec 2011 to 14 Jan 2012. 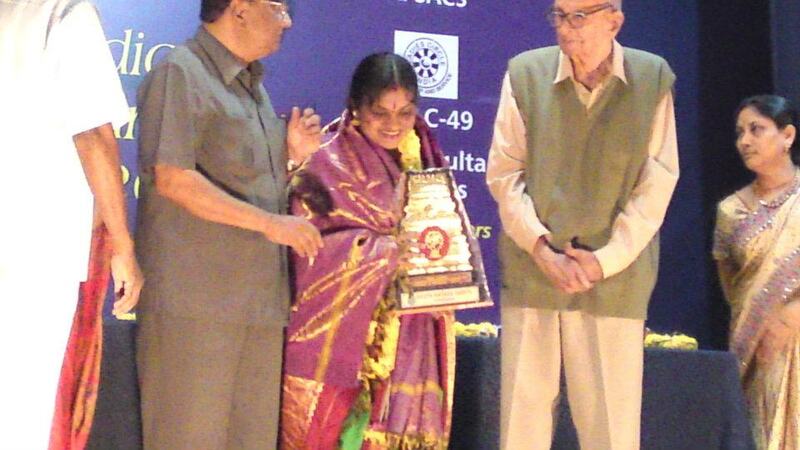 Dec 14, 2011 Participation in 91st Birthday Celebrations of Guru V S Ramamoorthy at Ravindra Bharathi, Hyderabad. 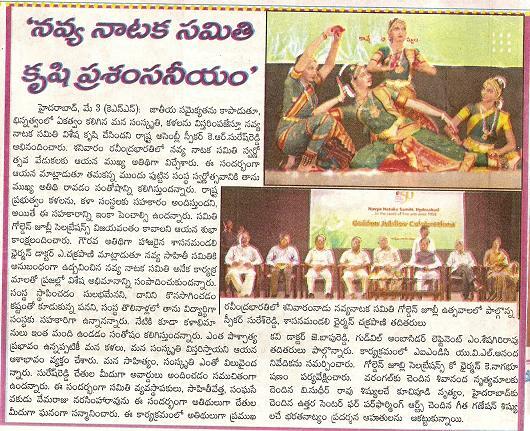 Dec 11, 2011 Students' participation in National Music and Dance Competition 2011 conducted by Navya Nataka Samiti, Hyderabad. 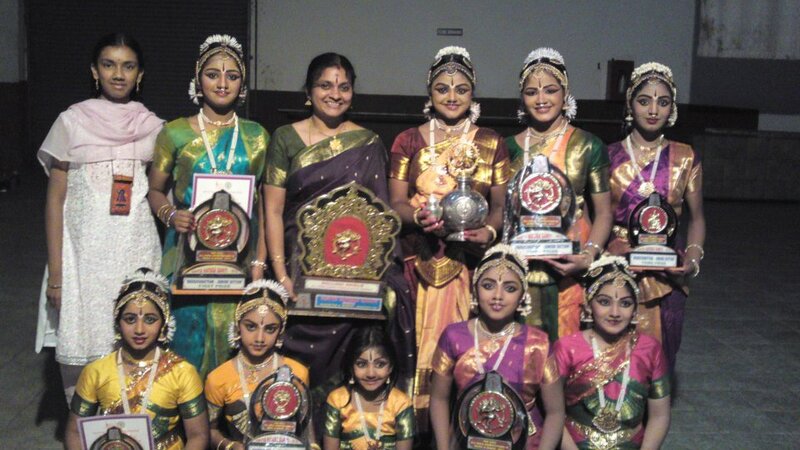 Seven students from Uttaraa bagged awards / prizes in the Dance category. Third Prize (Sub Juniors)- Mariam Mathew View Image. 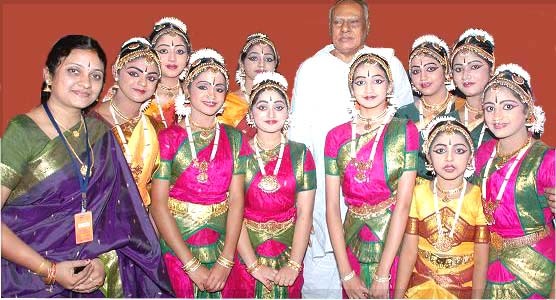 Dec 6, 2011 Honoring of Guru Geetha Ganesan by Navya Nataka Samithi, Hyderabad as part of the Annual Dance & Music Competitions 2012. View Image. Nov 7, 2011 Uttaraa Center for Performing Arts presents Bharatanatyam Arangetram of Kum. M Amulya Manja, Disciple of Geetha Ganesan at 6.30 pm, Ravindra Bharathi, Hyderabad.View Image. View Image. View Image. Oct 04, 2011 Bharatanatyam Dance Drama by Geetha Ganesan and her disciples from Uttaraa Center for Performing Arts during Navaratri Celebrations at Ganesh Temple, West Marredpally, Secunderabad. Oct 03, 2011 Bharatanatyam performance by Geetha Ganesan's disciples from UCPA at Ordnance Factory, Yeddumailaram as part of Navaratri Festivals conducted by Bengali Samithi. Sep 30, 2011 'Seetha Kalyanam' Dance drama performance by disciples of Geetha Ganesan, UCPA, at 7.30 pm, during Sharannavaratri Celebrations at Shringeri Shankar Mutt, Nallakunta, Hyderabad. Jul 29, 2011 Lecture Demonstration /an interaction with the CCRT scholarship holders for 'Unity in Diversity' camp by Centre for Cultural Resources & Training (CCRT), Shilparamam, Hyderabad. Jul 17, 2011 Bharatanatyam performance by Geetha Ganesan's disciples from UCPA at Ordnance Factory, Yeddumailaram in the august presence of DG and Chariman, Shri D M Gupta. 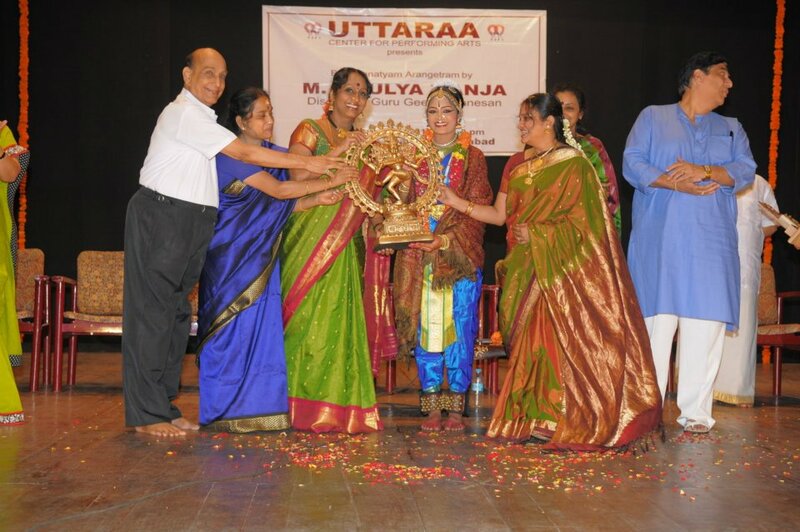 Jun 18, 2011 UCPA students bagged the First Prize in the Group Dance Competitions conducted by Jawahar Bal Bhavan, Malakpet. 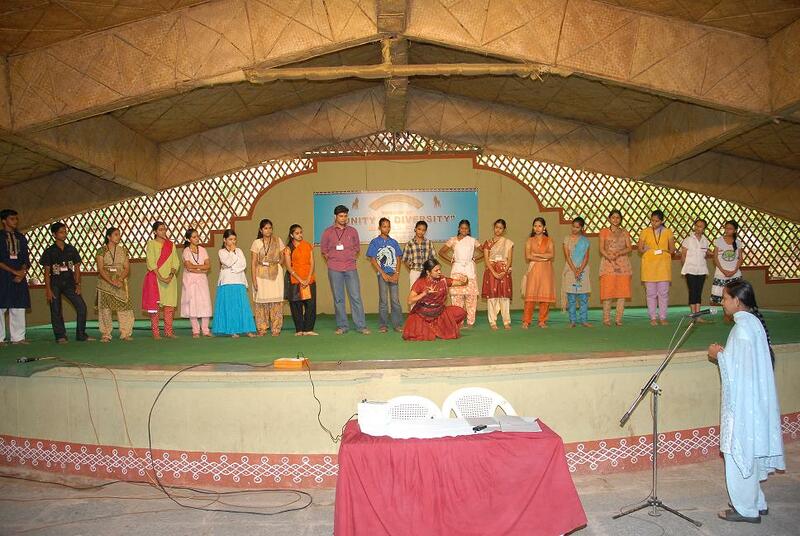 Participants: Subhanvitha, Shivani, Mariam, Chandana, Shambhavi and Sreeveni.View Image. Jun 8, 2011 Lecture Demonstration for Centre for Cultural Resources & Training (CCRT) for All India Teacher's Orientation Camp, Regional Centre, Jubilee Hills, Hyderabad.View Image. 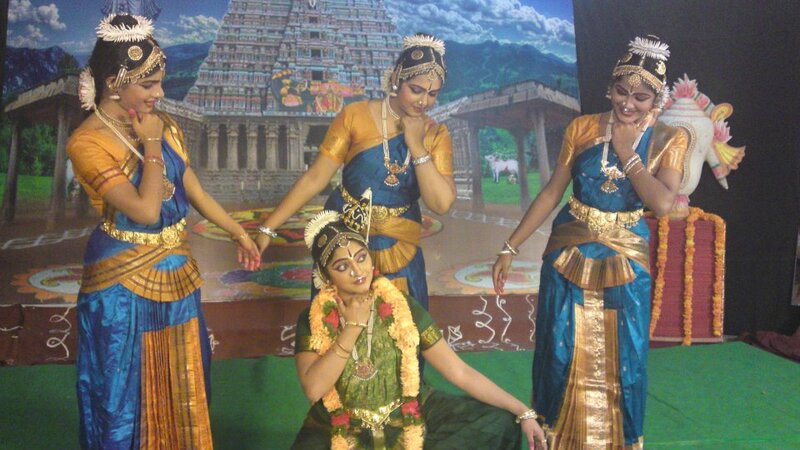 May 10, 2011 Performance by Geetha disciples from UCPA during the occasion of honoring of eminent Television anchors organised by 'Aradhana'at Sri tyagaraya Gana Sabha,Chikkadapally at 6.15 pm. 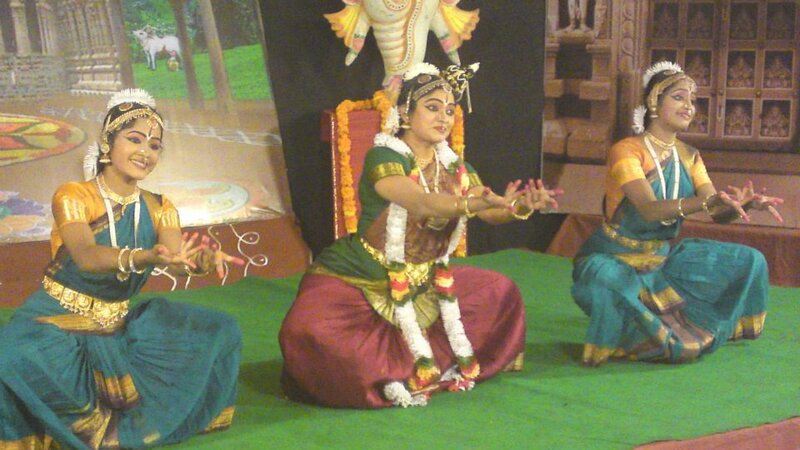 Mar 18, 2011 Solo performance by Geetha Ganesan's disciple, T P Sneha, during the Youth Festival conducted by Kalasagaram at Key's High School,Secunderabad at 6.30 pm. Mar 04, 2011 Solo performance by Geetha Ganesan for South Zone Hookup Program on Doordarshan - Saptagiri, Chandhana, Podhigai and DD Malayalam Channels. Mar 02, 2011 Solo performance by Geetha Ganesan during Maha Shivaratri Festivals at Tiruchembur Murugan Temple, Chembur, Mumbai. Mar 01, 2011 Natyanjali 2011 - Solo performance by Geetha Ganesan during Shivaratri Festivals at Tiruchembur Murugan Temple, Chembur, Mumbai. Feb 27, 2011 Kollegal Krithi Kaaveri - Dance performance by disciples of Geetha Ganesan for the compositions of Guru Kollegal R Subrahmanyam at Chinna Thiruvaiyaru, Vidya Nagar, Hyderabad on the occasion of his 81st Birthday. 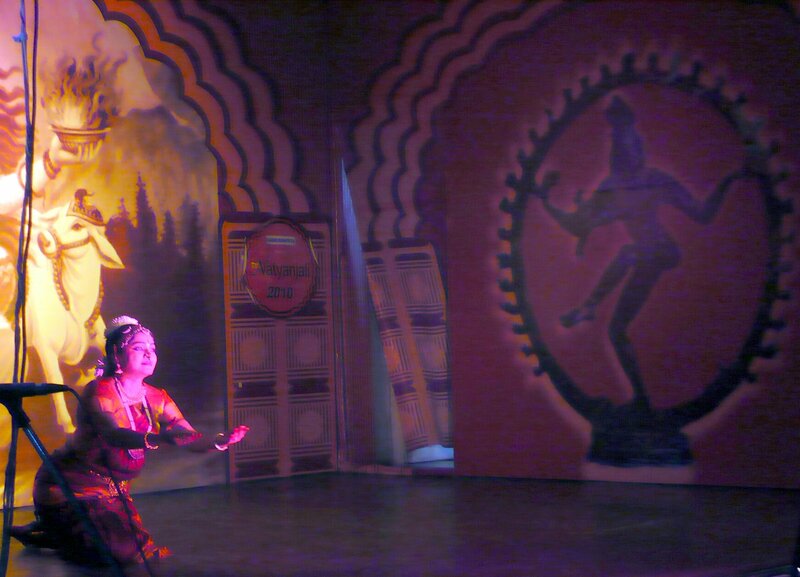 Feb 24, 2011 Solo performance by Geetha Ganesan for National Program of Dance in Doordarshan National Channel at 1130 PM. 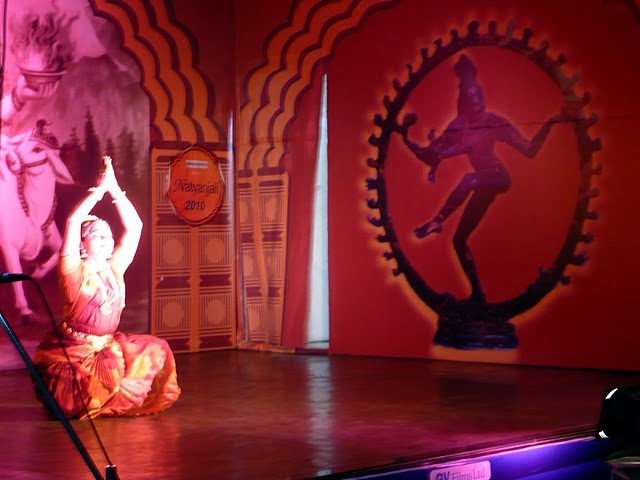 Jan 10, 2011 Bharatanatyam performance by disciples of Geetha Ganesan for Lion's Club International Meet, Leonia Resorts, Hyderabad. Dec 8, 2010 Bharatanatyam performance by disciples from UCPA at Ordnance Factory, Yeddumailaram. Dec 4, 2010 Tiruchanoor Ammavari Brahmotsavams, Mahathi Auditorium, Tirupati - Bharatanatyam Recital by Geetha Ganesan and her disciples. Oct 26, 2010 Annual Music and Dance Festival, Saraswati Gana Sabha, Kakinada - Bharatanatyam Recital by Geetha Ganesan and her disciples. 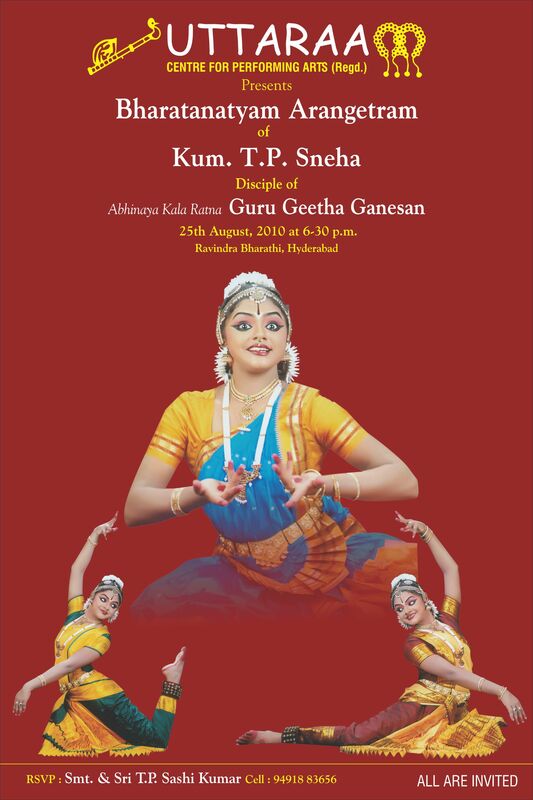 Oct 15, 2010 'Sita Kalyanam'- a Bharatanatyam Dance Drama will be performed by disciples of Geetha Ganesan, Uttaraa Center for Performing Arts at 7 pm for Sri Rajarajeshwari Sharannavaratri Mahotsavam, Siddhi Vinayaka Devastanam (opp Secunderabad Y.M.C.A. ), West Marredpally, Secunderabad. Oct 11, 2010 'Devi Mahaatmyam' Dance drama will be performed by disciples of Geetha Ganesan, UCPA, at 7.30 pm, during Sharannavaratri Celebrations at Shringeri Shankar Mutt, Nallakunta, Hyderabad. Sep 24, 2010 Performance under the aegis of Department of Culture, Andhra Pradesh during the award function of Hyderabad Polo Session at Army Bison Grounds Guests - Hon Chief Miniter and Hon Minister for Tourism. Sep 12, 2010 Performance by disciples of Geetha Ganesan during Ganesh Chaturthi Celebrations at SBH colony, Bagh Amberpet at 8 pm. Sep 11, 2010 Debut performance for some of the beginners of Uttaraa Center for Performing Arts on the occasion of Ganesh Chaturthi at 8.30 pm. Aug 25, 2010 Uttaraa Center for Performing Arts presents Bharatanatyam Arangetram of Kum. T.P. 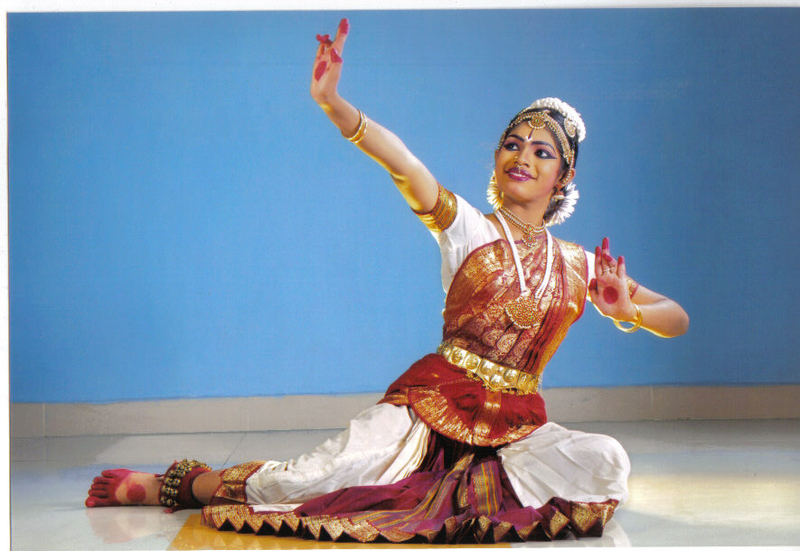 Sneha, Disciple of Geetha Ganesan at 6.45 pm, Ravindra Bharathi, Hyderabad. View Image. Jul 31, 2010 Lecture Demonstration for Centre for Cultural Resources & Training (CCRT) for All India Teacher's camp, Regional Centre, Jubilee Hills, Hyderabad. Jul 30, 2010 Lecture Demonstration for 'Unity in Diversity' camp by Centre for Cultural Resources & Training (CCRT), Shilparamam, Hyderabad. 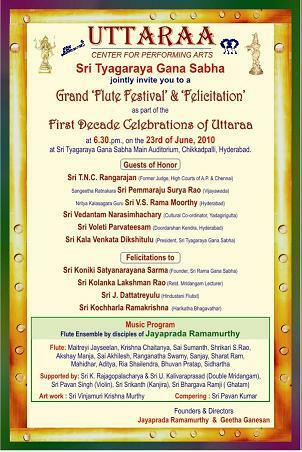 Jun 23, 2010 As part of "One Decade" celebrations, Uttaraa Center for Performing Arts presents a "Flute Ensemble" will be presented by disciples of Jayaprada Ramamurthy at Tyagaraya Gana Sabha, Chikkadpally at 6.30 pm. Four eminent musicians of Andhra Pradesh will be honoured on this occasion. View Invitation. Jun 02, 2010 Dance performance by students of Uttaraa Center for Performing Arts for Bayer Bio Science Pvt Ltd. Hyderabad. May 7, 2010 Students' participation in National Music and Dance Competition 2010 conducted by Navya Nataka Samiti, Hyderabad. Seven students from Uttaraa bagged awards / prizes in the Dance category. Third Prize (Sub Juniors)- Navya View photograph of the winners along with the Geetha Ganesan. May 01, 2010 Performance by disciples of Geetha Ganesan during inauguration of Gandhi Shilp Bazaar at Botanical Gardens, Hitech City, Hyderabad at 8.30 pm organized by A.P.Handicrafts Development Corporation Ltd.
May 01, 2010 Students' participation in Competitions conducted by Jawahar Bal Bhavan at Public Gardens, Hyderabad. Two students - Subhanvitha and D.S. Aditi won first prizes in the juniors and seniors category, respectively. 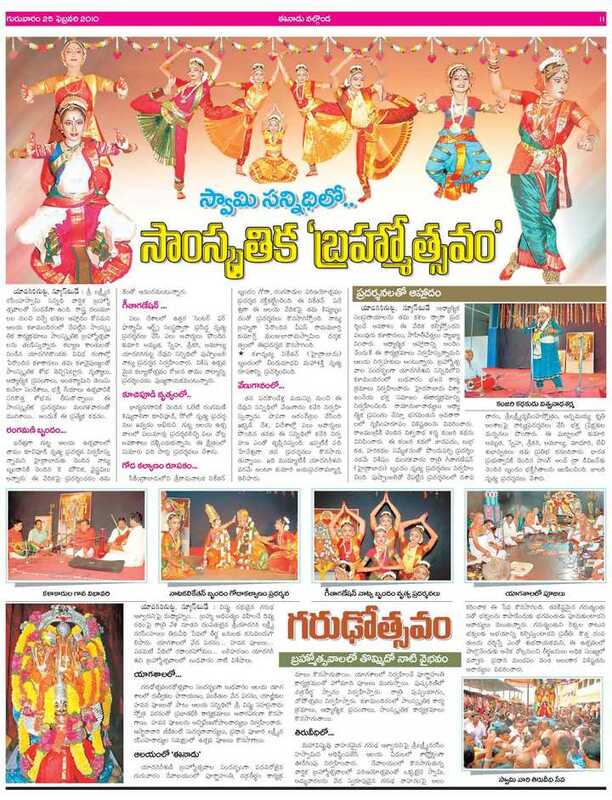 Feb 23, 2010 Performance by Geetha's disciples during Brahmotsavams at Yadagirigutta from 8.00 pm to 9.00 pm View Newspaper Review. Jan 31, 2010 Dance Drama - 'Shata Shloki Ramayanam' in Bharatanatyam style will be performed by disciples of Geetha Ganesan during the Satguru Tyagaraja Aradhana Celebrations conducted by Sri Rama Gana Sabha at New Nallakunta Ramalayam, Hyderabad at 6.30 pm. Jan 09, 2010 Judge for the Dance Competition scheduled as part of the "15th National Youth Festival" conducted by Nehru Yuva Kendra Sangathan, Ministry of Youth Affairs, Govt of India at Bhubaneshwar, Orissa. Dec 27, 2009 Bharatanatyam performance by disciples of Geetha Ganesan, for 'Alavelumanga Sarvaiah Charitable Trust, 7.00 pm at "Sapthaparni", Plot No.21, Adjacent to Kalpa School, Road No.8, Banjara Hills, Hyderabad. Dec 25, 2009 Lecture Demonstration for Centre for Cultural Resources & Training (CCRT) for All India Teacher's camp, Regional Centre, Jubilee Hills, Hyderabad. Dec 12, 2009 Bharatanatyam solo performance by Kum. V.K. Rishika, disciple of Geetha Ganesan, for Yuvakalavahini, 6.30 pm at Ravindra Bharati, Hyderabad. View image. Nov 28, 2009 Bharatanatyam performance by disciples of Geetha Ganesan from UCPA for the Vibha Seeds Agricultural Development Inaugural Funtion, attended by the Hon'ble Chief Minister of Andhra Pradesh, Sri Rosaiah, 11 am at Jadcherla and for the Vibha Seeds Delegates Meet in the evening at NAC campus, Hitex at 8.30 pm. View image. Nov 23, 2009 Bharatanatyam performance by disciples of Geetha Ganesan for the HPCL Distributor's Meet, 7 pm at Hotel Novatel, Shamshabad. Nov 22, 2009 Vocal Performance - Devotional songs by Geetha Ganesan, 8 pm at Ganesh Temple, YMCA X Roads, Secunderabad. Nov 14, 2009 Lecture Demonstration for Centre for Cultural Resources & Training (CCRT) for All India Teacher's camp, Regional Centre, Jubilee Hills, Hyderabad. Nov 8, 2009 Geetha Ganesan will be the Guest of Honour for the Rangapravesham of Kum. Shruthi Lakshmi, Disciple of Smt. Supriya Komandur at J.S.S Auditorium, Jayanagar, Bangalore. Sept 26, 2009 'Devi Mahatmyam'- Bharatanatyam Dance Drama will be presented by Uttaraa Center for Performing Arts, 7.30 pm to 8.30 pm for during the Navaratri 3 days Festival organised at KVBR Botanical Gardens, near Hi-Tech City, Madhapur. Sept 23, 2009 'Shatashloki Ramayanam' Dance drama will be performed by disciples of Geetha Ganesan, UCPA, from 6.15 pm to 8 pm, during Sharannavaratri Celebrations at Shringeri Shankar Mutt, Nallakunta, Hyderabad. Sept 22, 2009 'Devi Mahatmyam'- a Bharatanatyam Dance Drama will be performed by disciples of Geetha Ganesan, Uttaraa Center for Performing Arts, 7 pm to 8.15 pm for Sri Rajarajeshwari Sharannavaratri Mahotsavam, Siddhi Vinayaka Devastanam (opp Secunderabad Y.M.C.A. ), West Marredpally, Secunderabad. Aug 28, 2009 Bharatanatyam Performance by Disciples of Geetha Ganesan for 14th Annual Celebrations of ARADHANA (A Cultural Organisation), 6.15 pm to 7.30 pm, Sri Tyagaraja Gana Sabha, Chikkadpally, Hyderabad. Aug 26, 2009 Bharatanatyam Performance by Disciples of Geetha Ganesan for the SBH colony Welfare Association, SBH colony park, Bagh Amberpet, Hyderabad. Aug 17, 2009 Bharatanatyam performance by students of Uttaraa Center for Performing Arts as part of Ramakoti Celebrations conducted by Sri Rama Gana Sabha at 7.00 pm, New Nallakunta Ramalayam, Hyderabad. Aug 16, 2009 Lecture Demonstration for Centre for Cultural Resources & Training (CCRT) for All India Teacher's camp, Regional Centre, Jubilee Hills, Hyderabad. July 30, 2009 Uttaraa Center for Performing Arts presents Bharatanatyam Arangetram of Kum. Shrikari S Rao, Disciple of Geetha Ganesan at 6.30 pm, Ravindra Bharathi, Hyderabad. View image1. View image2. July 22, 2009 Lecture Demonstration for 'Unity in Diversity' camp by Centre for Cultural Resources & Training (CCRT), Shilparamam, Hyderabad. View image. July 17, 2009 Bharatanatyam repertoire and "Devi Mahatmyam" - Dance Drama presented by Geetha Ganesan and her disciples as part of NRITYOTSAV 2009 being conducted by the prestigious SOUTH INDIAN CULTURAL ASSOCIATION, Hyderabad. View image. June 18, 2009 Uttaraa Center for Performing Arts presents Bharatanatyam Arangetram of Kum. Amruta Mungikar, Disciple of Geetha Ganesan at 6.30 pm, Ravindra Bharathi, Hyderabad. View invitation here. 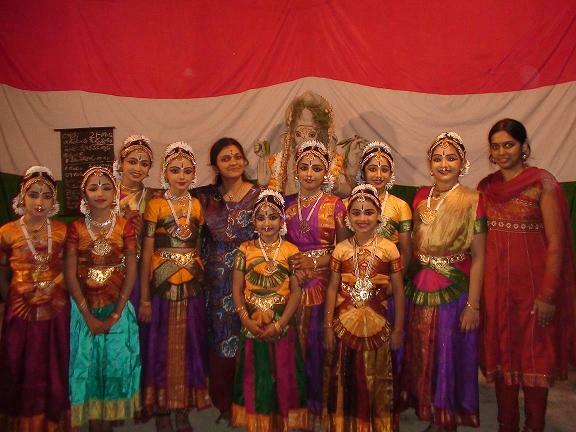 May 30, 2009 Students of Geetha Ganesan from UCPA have participated in the National / International level Music and Dance competitions conducted by Akhil Bharatiya Sankrutik Sangh, Pune. Contestants from 18 Indian states participated in the competitions. May 05, 2009 Judge for Doordarshan Dance Competition Program "Muvvala Savvadi" to be held at the Doordarshan Studios, Ramanthapur, Hyderabad. National telecast scheduled for 6th May 2009. Mar 28, 2009 Participation in "Sahasra Gala Sangeetharchana" held at Sri Sri Ganapathi Sachidhananda Ashram at Dundigul, Hyderabad. Mar 20, 2009 Bharatanatyam recital by disciples of Geetha Ganesan at ISERVE Panchanga Siddhanta Workshop at Konijeti Function Hall, Mehdipatnam, Hyderabad. Feb 24, 2009 Prize distribution function of Andhra Balananda Sangam - Prizes won in Bharatanatyam by students of Geetha. Sub-juniors - Sp.Prize to Subhanvita, Juniors - 1st prize to Aditi and 2nd prize to Amulya. Feb 18, 2009 Natyanjali 2009 - Solo performance during Shivaratri Festivals at Tiruchembur Murugan Temple, Chembur, Mumbai. Feb 04, 2009 Solo and group Bharatanatyam recital by Geetha Ganesan and her disciples at Indian Institute of Chemical Technology Auditorium, Tarnaka, Secunderabad. Jan 17, 2009 Students' participation in National Music and Dance Competition conducted by Navya Nataka Samiti, Hyderabad. Six students from Uttaraa bagged awards / prizes. View Eenadu press coverage of the winners. View photograph of the winners along with the Geetha Ganesan. Jan 14, 2009 Vocal performance by Geetha Ganesan during Thyagaraja Aaradana at Chinna Thiruvaiyaru, Ramalayam, Ram Nagar, Hyderabad. Jan 10, 2009 Performance by disciples of Geetha Ganesan from UCPA on the occasion of three day music and dance festival held at Botanical Gardens, Gachibowli, Hyderabad. Jan 06, 2009 Solo performance by Geetha Ganesan at Dakshinamurthy Hall, P.S.High School, Mylapore, Chennai. Dec 13, 2008 Chief Guest - Sri Aurobindo School Annual Celebrations, Tagore Auditorium, Osmania University Campus, Hyderabad. Nov 03, 2008 Indian Institute of Chemical Technology - 9th Annual Symposium - Bharatanatyam recital by disciples of Geetha Ganesan. Oct 03, 2008 Shravana Navaratri Mahotsavam Celebrations, Uttara Kamakshi Temple, Nerul, Navi Mumbai - 'Devi Mahatmyam' Dance Drama will be presented by Geetha Ganesan and her disciples. Click here to view DNA Press Coverage. Sep 06, 2008 Disciples of Geetha Ganesan from Uttaraa Center for Performing Arts present a Bharatanatyam recital during Vinayaka Chaturthi Celebrations for SBH Colony Welfare Association at SBH Colony Garden, Bagh Amberpet, Hyderabad at 7.30 p.m.
July 18, 2008 Uttaraa Center for Performing Arts presents bhajans on flute by Jayaprada Ramamurthy and her disciples and 'Shatashloki Ramayanam' by Geetha Ganesan and her disciples for 'Amma Vodi'- home for the aged - at Ganapati Sacchidananda Swami Ashram, Dundigal on the occasion of Guru Purnima. Apr 19, 2008 Annual Golkonda Festival 2008 - Performance by Geetha Ganesan and her disciples at the famous Taramati Baradari Amphitheatre, Hyderabad followed by a group performance by artistes from different Indian Dance forms. Apr 14, 2008 Sita Kalyanam Dance Drama by students of Uttaraa Center for Performing Arts at Shankar Mutt, Hyderabad on the eve of Sri Ramanavami celebrations. Mar 05, 2008 Natyanjali 2008 - Solo performance during Shivaratri Festivals at Tiruchembur Murugan Temple, Chembur, Mumbai. Jan 27, 2008 Students' participation in National Music and Dance Competition conducted by Navya Nataka Samiti, Hyderabad. 9 students from Uttaraa bagged awards / prizes. View photograph of the winners along with the guru Geetha Ganesan. Jan 23, 2008 Performance by disciples of Geetha Ganesan from Uttaraa Center for Performing Arts during Thyagaraja Aaradana Festivals- Sri Rama Gana Sabha, Ramalayam, Nallakunta, Hyderabad. Jan 20, 2008 Students' participation in Music and Dance Competition conducted by Andhra Balananda Sangam, Hyderabad. Bagged 1st and 3rd prizes. Jan 18, 2008 Solo performance by Geetha Ganesan at Narada Gana Sabha under the auspices of Karthik Fine Arts, Chennai. Dec 16, 2007 Bharatanatyam recital by disciples of Geetha Ganesan from Uttaraa Center for Performing Arts - JNTU Kakinada Alumni Meet, JNTU Auditorium, Masab Tank, Hyderabad. Nov 19, 2007 Rukmini Kalyanam, Dance Drama by Geetha Ganesan and her disciples from Uttaraa Center for Performing Arts during Puttaparthi Sai Baba birthday celebrations at Shivam Temple, Hyderabad. Oct 28, 2007 Muvvala Savvadi, Classical Dance Competition at Doordarshan Kendra, Hyderabad - Participation by disciple of Geetha Ganesan, Geetha Krishna. Oct 19, 2007 Devi Mahatmyam, Dance Drama by Geetha Ganesan and her disciples from Uttaraa Center for Performing Arts during Navaratri Celebrations at Ganesh Temple, West Marredpally, Secunderabad. Oct 18, 2007 Devi Mahatmyam, Dance Drama by Geetha Ganesan and her disciples from Uttaraa Center for Performing Arts at Ordnance Factory Navaratri Celebrations, Yeddumailaram, Hyderabad. Aug 26, 2007 Lecture Demonstration at Centre for Cultural Resources and Training, Hyderabad. 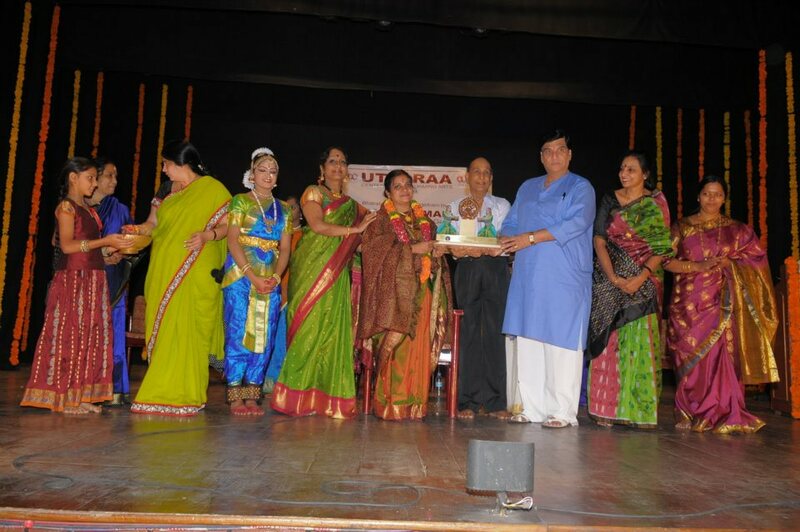 Aug 24, 2007 8th Anniversary Celebrations of Uttaraa Center for Performing Arts at Ravindra Bharati, Hyderabad. Jul 29, 2007 Flute performance by Jayaprada and disciples followed by Dance Drama 'Devi Mahatmyam' by Geetha and disciples on the occasion of Guru Poornima at Ganapati Sachidhananda Swami Ashram, Dundigal, Hyderabad. Jul 02, 2007 Group performance by Geetha Ganesan's troupe during State Bank of India 'Bank Day Celebrations' at Bharatiya Vidhya Bhavan, Hyderabad. June 05, 2007 Geetha Ganesan and her disciples from Uttaraa Center for Performing Arts present Dance Drama 'Rukmini Kalyanam', SICA, Hyderabad. View Press Article The Hindu Full Hyderabad. May 27, 2007 Disciples of Geetha Ganesan from Uttaraa Center for Performing Arts present Dance Drama 'Sita Kalyanam', Bagalkot, Karnataka. Apr 23, 2007 'Wind and Earth', Flute Vs Dance, Geetha Ganesan and Jayaprada Ramamurthy with disciples, for Tirumala Musical Centre, Hyderabad. Apr 18, 2007 Program by Geetha's disciples, Shringeri Shankar Mutt, Hyderabad. Feb 23, 2007 Geetha's performance along with her disciples during Brahmotsavam, Yadagirigutta. Feb 19, 2007 Solo by Geetha Ganesan during Natyanjali, South Zone Cultural Centre, Tanjavore. Feb 17, 2007 Solo by Geetha Ganesan during Natyanjali, Natyanjali Trust, Chidambaram. Feb 14, 2007 Natyanjali 2007 - Solo performance during Shivaratri Festivals at Tiruchembur Murugan Temple, Chembur, Mumbai.